Similar treats are known as “biscuits” in the US, where everything is upside down, and people do not worship the Queen. 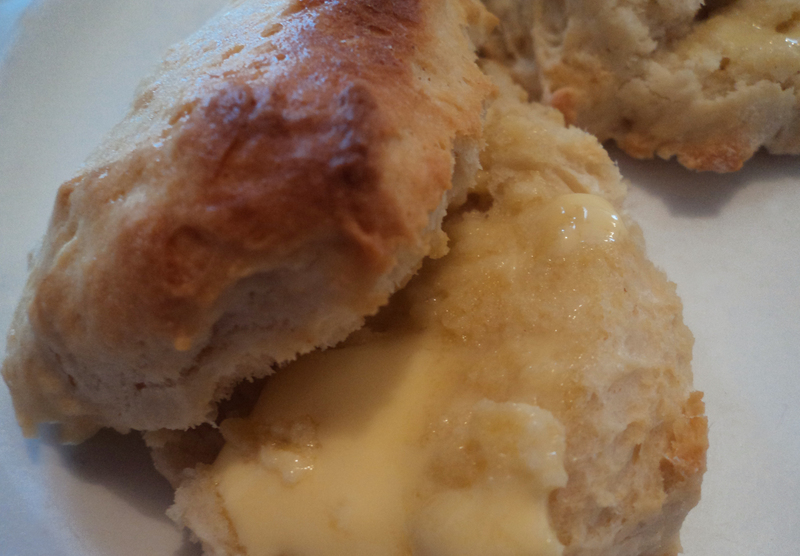 Scones can be sweet or savoury and are a simple, yet impressive treat for guests. These scones are light, fluffy and positively poetry-inducing. To reduce the cost and improve the healthiness of these I’ve swapped margarine for oil and soy milk for water. At the bottom of this recipe you’ll find suggestions on how to modify this recipe to your requirements. Mix dry ingredients. Stir in wet ingredients until the mixture becomes dough. Sprinkle flour on a flat surface and slightly flatten the dough. Slice it into 12 pieces. Sprinkle flour on a baking tray and distribute the pieces onto the tray. Brush a little soy milk on top. Bake until golden. To sweeten the recipe add; sultanas or dried fruit, cinnamon, banana, cardamon or chocolate chips. Serve with margarine, soy cream, jam, sweet syrup or bananas. To make the recipe savoury add; nutritional yeast, fake ham or sun dried tomatoes. Serve with; margarine, hummus, gravy or Marmite or Vegemite.